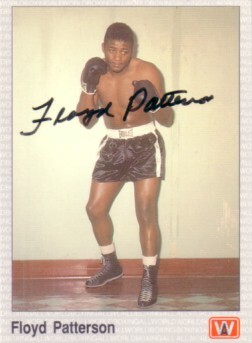 All World boxing card autographed in thin black marker by the late, legendary fighter Floyd Patterson. Obtained via private signing many years ago, with certificate of authenticity from AutographsForSale.com. ONLY TWO LEFT.